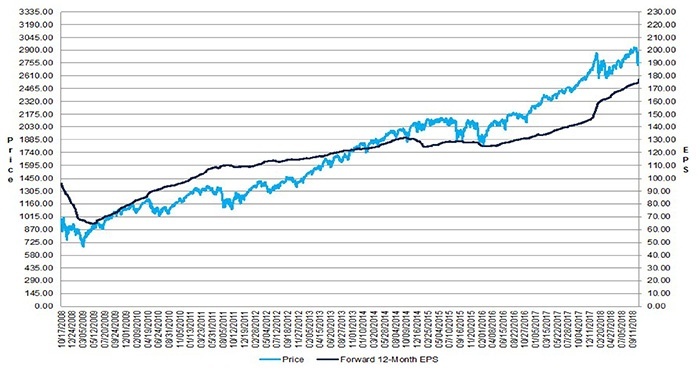 “Earnings Growth: For Q3 2018, the blended earnings growth rate for the S&P 500 is 19.5%. If 19.5% is the actual growth rate for the quarter, it will tie the mark for the third highest earnings growth since Q1 2011 (also 19.5%). “Earnings Revisions: On September 30, the estimated earnings growth rate for Q3 2018 was 19.3%. Five sectors have higher growth rates today, due to positive EPS surprises and upward revisions to EPS estimates. “Earnings Guidance: For Q4 2018, nine S&P 500 companies have issued negative EPS guidance and four S&P 500 companies have issued positive EPS guidance. In terms of specific sectors, FactSet notes that all 12 sectors (up from 11 due to the recent redefinition of sectors) are expected to report year-over-year growth in earnings. Eight sectors are projected to report double-digit earnings growth for the quarter, led by the Energy, Financials, and Materials sectors. The recent market weakness and volatility has had a significant impact on companies who have reported either Q3 earnings or sales results that have missed estimates or a forward outlook in their earnings report that was lower than expectations. 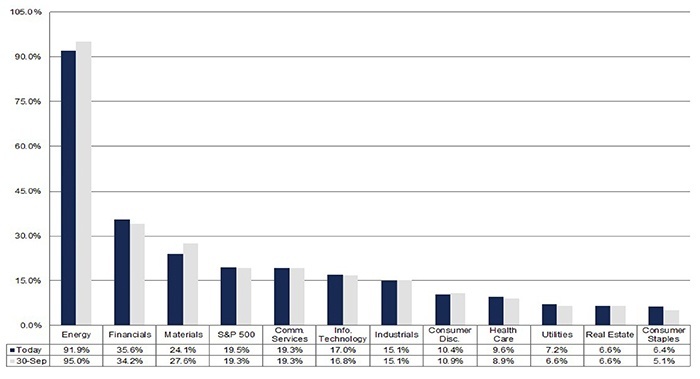 Figure 4 shows what factors have influenced those declines the most, with those stocks having “lowered guidance” suffering the deepest losses, down 7% on average. These results, however, must be taken within the context of an earnings season that still has a long way to go (the Q3 earnings season runs from the beginning of September through the end of November). This week will be one of the heaviest for S&P 500 companies’ earnings reports, including several of the large technology names. While Q3 2018 may still be a very strong reporting period, the market is likely looking well past results for the previous quarter (as seen in the emphasis in Figure 4 on forward guidance). The market is closely following how and if major global companies express concerns over geopolitical issues (tariffs and “trade wars”) and how those factors may impact future earnings results. “Eric Wiegand, senior portfolio manager at U.S. Bank Wealth Management, told MarketWatch that ‘we have seen the narrative begin to shift,’ to a more cautious one, citing fears over slowing global growth and whether U.S. companies can maintain their recent strong earnings growth in the quarters to come.